Outstanding 4 Bedroom, 3 Bathroom Mission Viejo Stunner! Located In The Beloved Community Of Castille North, This Move-In Ready Home Features A Completely Remodeled Gourmet Kitchen Showcasing Custom Cabinetry, Soft Closing Drawers, Bay Window, Pull-Out Drawers In Pantry, Thermador Appliances, Gorgeous Custom Granite Countertops & Recessed Lighting. This Highly Desired Floor Plan Boasts A Downstairs Bedroom, Full Bathroom, Living Room, Family Room, Dining Room With Custom Built-Ins & Laundry Room. Upstairs, You Will Find Two Guest Bedrooms & A Guest Bathroom In Addition To A Large Master Suite With Walk-in Closet, Upgraded Bathroom Vanity & More. 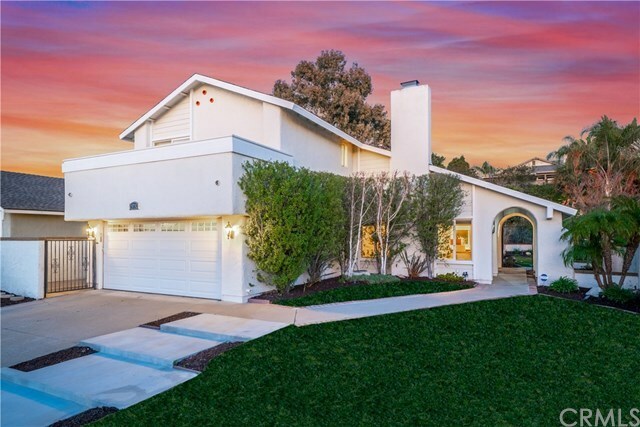 Additional Features Of This Home Include Wood-Style Tile Flooring, A Whole House Fan, LED Lighting, New Air Conditioning, Furnace & Ducting, Smooth Ceilings, Milgard Windows, A Huge Very Private Backyard, An Oversized Two Car Garage With Shelving, & Access To Lake Mission Viejo. Save Your Money - No HOA Dues (Just The $19 Monthly Lake Mission Viejo Membership), No Mello Roos & A Very Low Tax Rate! Conveniently Located Near Prize Winning Schools, Parks, Shopping, Dining, Entertainment & More!